A 50 yo female with headache and giddiness. 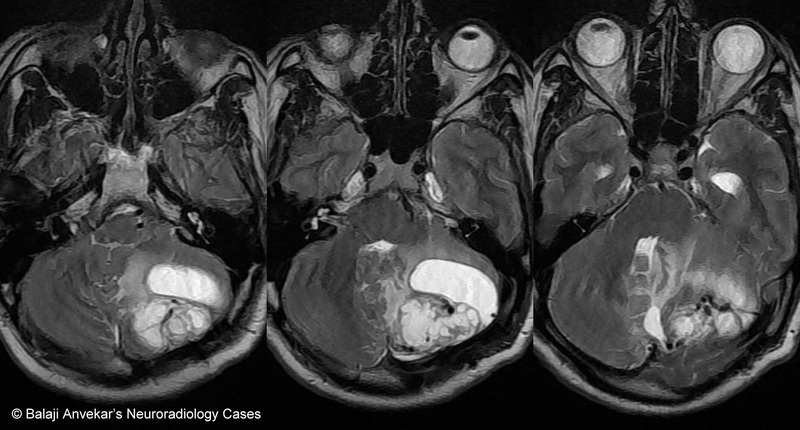 Axial T2w image show a mixed signal intensity posterior fossa mass with cystic as well as solid component. Solid component is near tentorium intensely enhancing on post contrast T1. 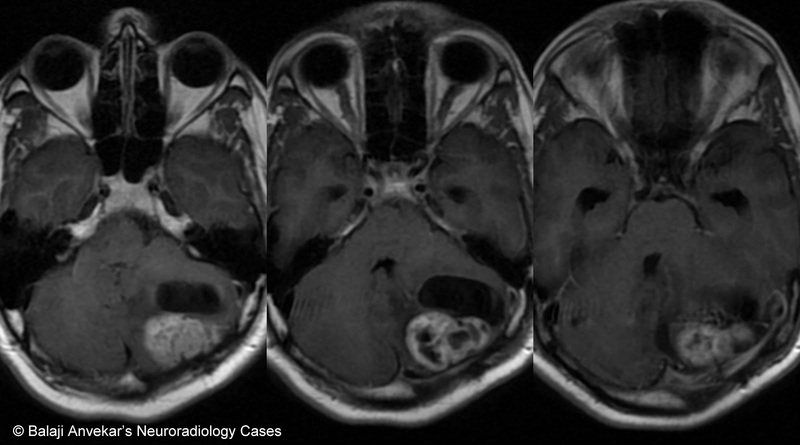 Flow voids in this solid component and adjacent to it is very typical of a Hemangioblastoma. Mass effect on medulla and Pons with obstructive hydrocephalus. Radiological and histopathological diagnosis : Hemangioblastoma.